At Aisha's Wedding Decor, we specialize in making every event beautiful and memorable with our decoration. With our elegant designs, composed of beautiful stages and centerpieces, we create a stunning atmosphere for every party. Our decoration is for all types of events, ranging from wedding ceremonies to birthdays. We provide a variety of designs to make your party picture-perfect. 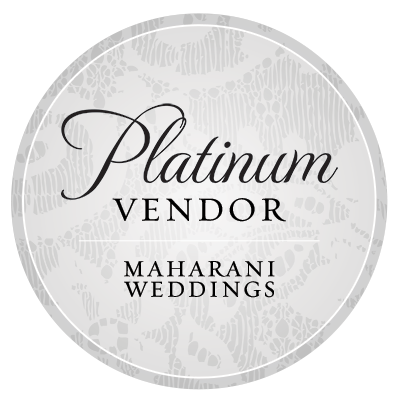 We are one of Maharani Weddings platinum vendors. As wedding and event planners, we create your dream event that pays respect to your style, aesthetics, and cultural traditions. We will work with you every step of the way, from engagement to wedding day, to make your ceremony unique and beautiful. We are based in New Jersey and do events all along the East Coast. With our attention to detail and stunning styling we ensure unforgettable, breathtaking ceremonies every time. To confirm availability, please get in touch at least 2 months prior to your event. Inquiries can be made by clicking here.